It seems the universe has spoken, and down here in Florida we are moving right into spring. Upper 70s, low 80s seem to be the norm for us this year so far (thank goodness because the cold = no good!). 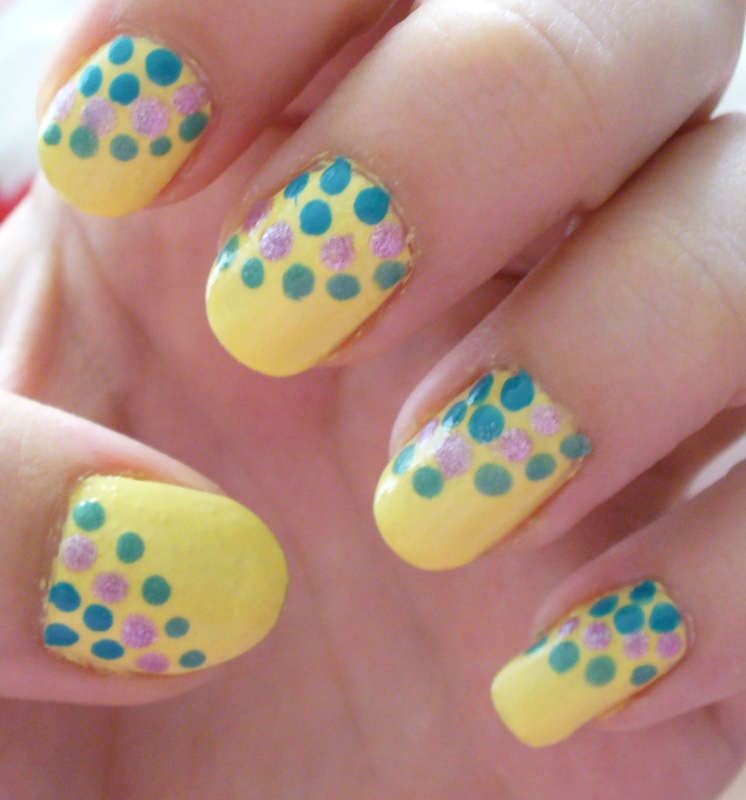 So this means no more wintery, cool, icy touch type nail art, and on to bright and cheerful designs. 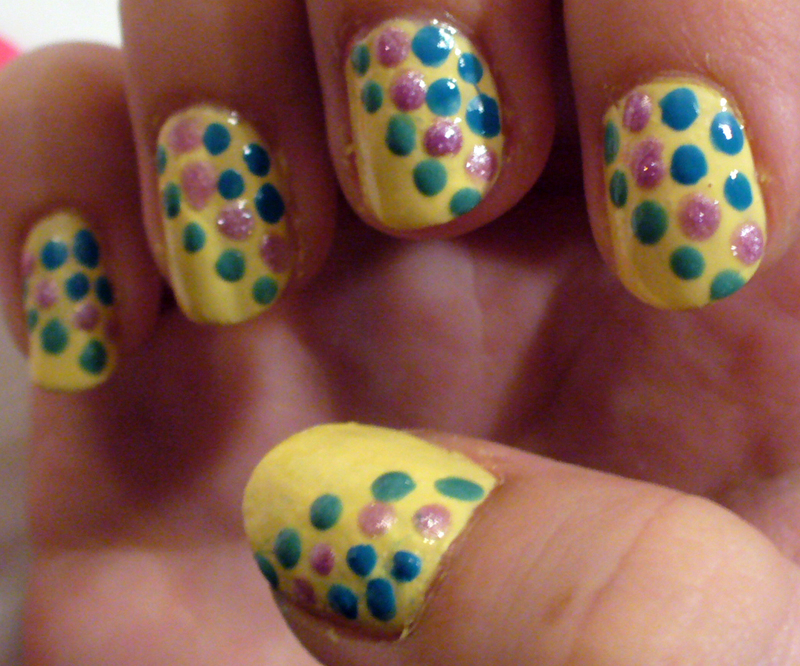 I wanted to kick start my spring nail art mindset with pretty colors I got from Walgreens for 99 cents each! Yeah, you read that right, 99 cents EACH. Walgreens had a sale for “Sinful” nail polishes, normally $1.99 each, for 99 cents each! How awesome is that? I stocked up on nearly a dozen new spring colors. 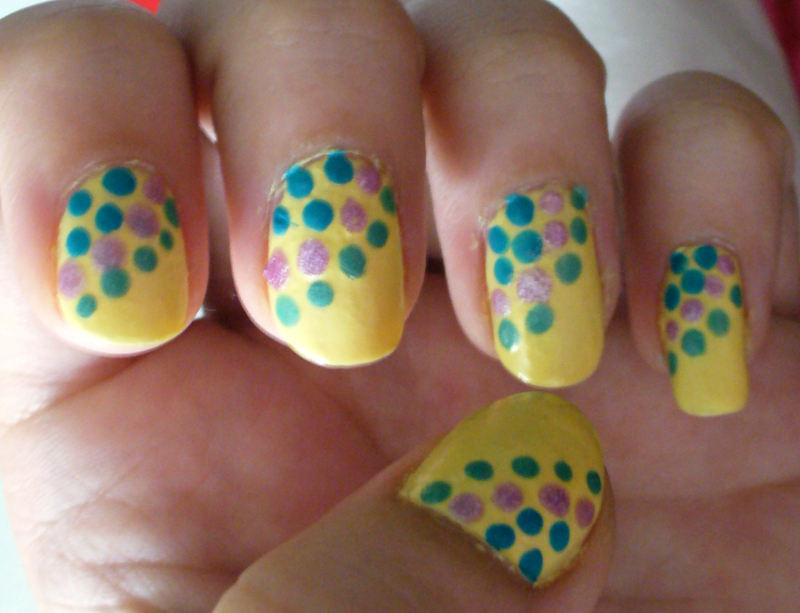 IF you are getting more into nail art, like me (it’s so addicting! ), then I urge you to consider investing in some good polishes, but whatever it is you will be using as a base color coat. It is not unheard of for the Sinful polishes to leave a light tint occasionally, but the foundation is important. 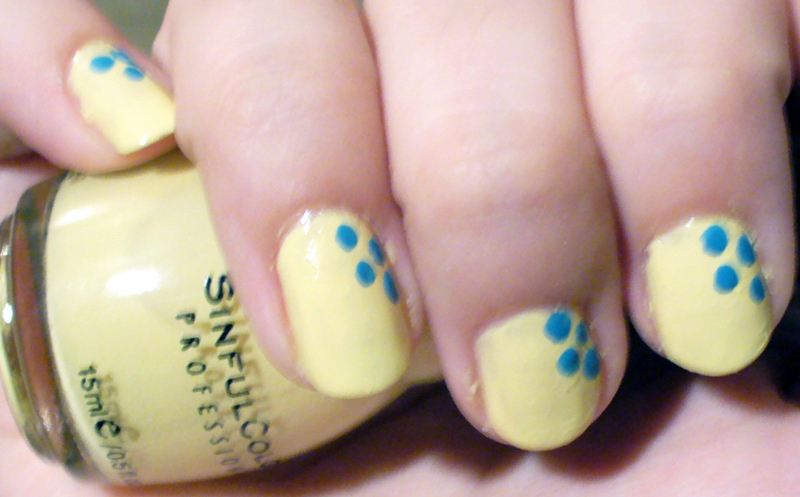 If you are just marbling, or doing pretty little dots or other nail art, you are going to be just FINE using a brand like Sinful or whatever else you find. I go to Big Lots all the time and find random Maybelline clearance polishes for a dollar or two a piece. Can’t go wrong there! 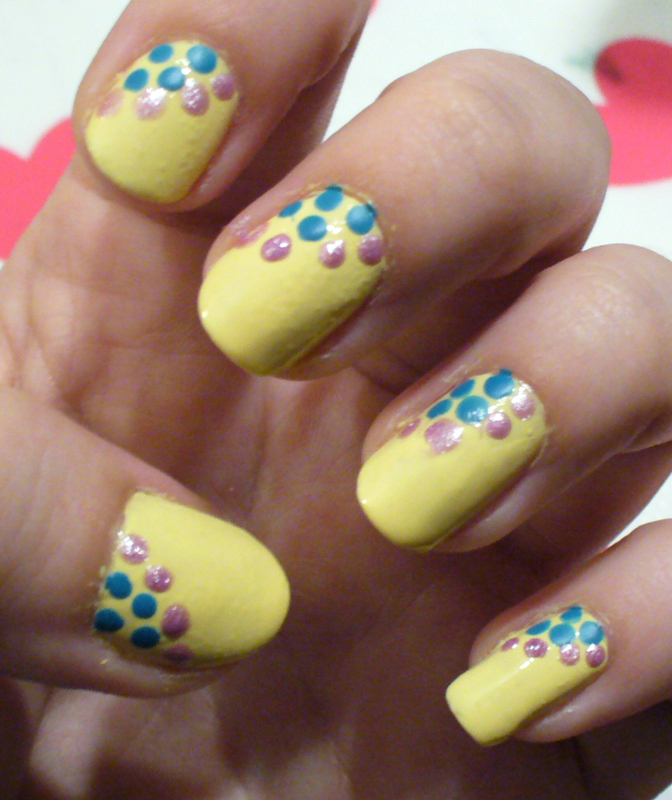 Anyways, moral of the story is this: YOU DON’T HAVE TO SPEND OUTRAGEOUS AMOUNTS OF MONEY FOR AWESOME NAIL ART! The colors for this look totaled out to $4. Yeah, FOUR DOLLARS! 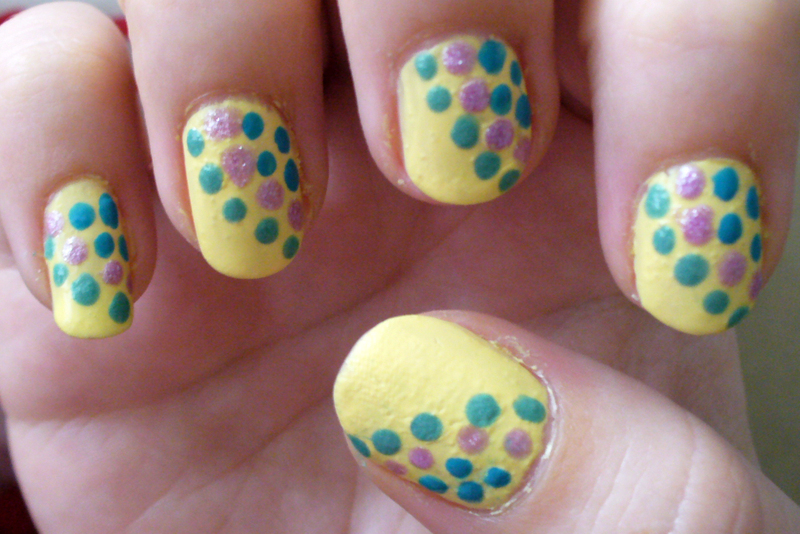 Took me about 30 minutes to do (I had a show on distracting me), I have my own DIY DOTTING TOOL, (check out the post if you haven’t made yours yet), and applied my favorite top coat. 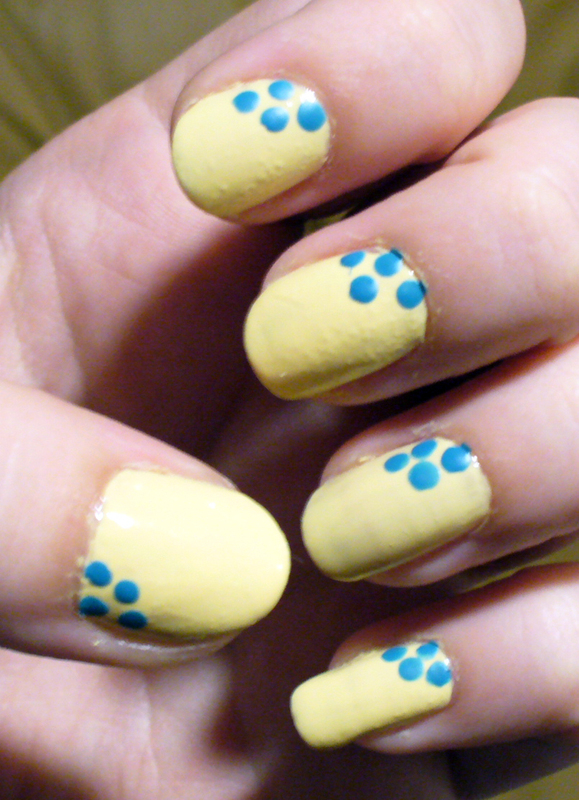 This look is simple, cheap, and easy to do. I put together this little image for you to see what colors I used. These pictures are from the Walgreens site, and are for the most part pretty true to color. And some other shots at different angles and lighting. 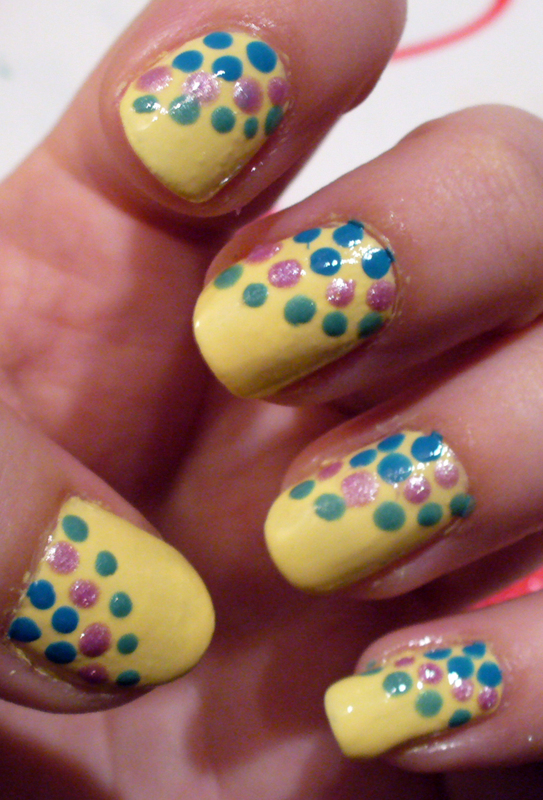 I hope this has inspired you to start trying out new ideas and play with colors you don’t normally try out in your nail art. Remember, it CAN be cheap and it IS easy to do! If you have any questions or comments, I’m always listening! This is really great! Just found your blog! Just a suggestion- you may get more comments if you get rid of the word verification for comments! Thanks 🙂 I'm glad you like them! I did not think about that word verification thing, good idea! I'll switch it over now!